I missed the point. For years now I've looked. "Do not look for Christmas in the snow, in the ornaments. Do not look for it in gifts and fat Santa Clauses; in decorated trees, in bags full of gifts, in red caps; in songs, festivities, and tables full of foods. Do not look for Christmas around you. You will not find it anywhere. Hence the melancholy. This is why you lose your joy when the lights go out, when the holidays have passed. Christmas is within you, in your heart. You decorated your tree, but have you decorated your heart? Have you cleaned it? Have you prepared it to receive Christ? 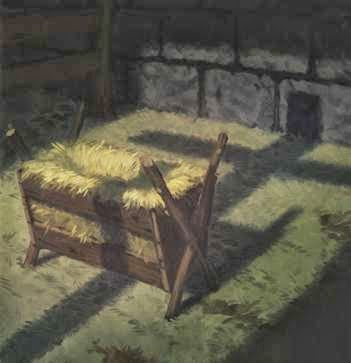 Did you feel the message of His birth? The message of our salvation? The message of hope, joy, and the incarnation of the Word? Do not look for Christmas in the world. Seek Christ. Seek your heart."